The Mughal era ended in 19th century in Indo-Pak subcontinent. The walls of the forts, palaces, gardens, roads, all depict the lifestyle of the Mughal Emporers. 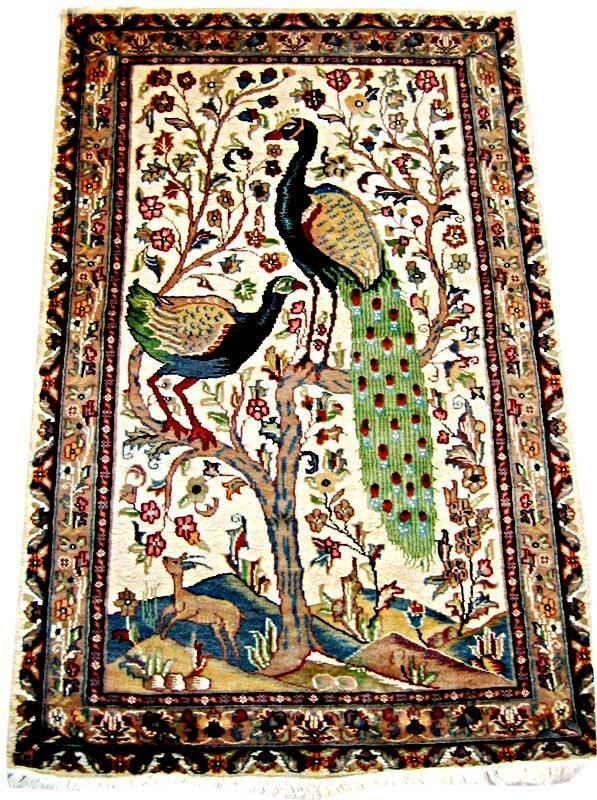 The pictures woven in Kashmir silk mostly are adapted designs from the mughal books and architecture which show artistic tastes of the mughal kings and queens . Designs like horse hunting, peacocks, the emperor & his colleagues, deer hunting, birds, elephants, tree of life etc are masterpieces to collect. Sizes are mostly small from 1.5x2 ft to 4x6 ft.